Only 53,059 Miles! This Mercedes-Benz C-Class Comes Equipped with These Options 2014 C 300 4MATIC® $39,400 149 Polar White 121 Black MB Tex P01 Premium Package: $2,500 .....873 Heated Front Seats .....810 Burmester(R) Surround Sound System .....536 SiriusXM Radio with Free Trial Period .....518 Media Interface .....275 Power Dr.Seat &Steering Col. w/ Memory .....049 iPod/MP3 Media Interface Cable .....U22 4-Way Lumbar Support 320 Multimedia Package: $2,860 .....512 COMAND® w/Navigation and Voice Control .....218 Rearview Camera .....U71 DVD Coding 333 Sport Sedan: .....954 Avant Garde Package (Sport) .....952 Sportline Package .....772 AMG® Sportline .....486 Sport Suspension .....4U4 Radiator grill with central star R95 17-Inch 5-Twin-Spoke Wheels 104 Rear Deck Spoiler $350 731 Burl Walnut Wood Trim $325 917 SULEV (PZEV) emission package SUBTOTAL $45,435 DESTINATION &DELIVERY $925 TOTAL $46,360Stop By Today A short visit to Mercedes-Benz Porsche of Lehigh Valley located at 3401 Lehigh St, Allentown, PA 18103 can get you a reliable C-Class today! 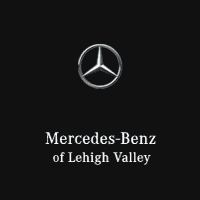 A short visit to Mercedes-Benz Porsche of Lehigh Valley located at 3401 Lehigh St, Allentown, PA 18103 can get you a reliable C-Class today! This Mercedes-Benz M-Class Features the Following Options 2014 ML 350 4MATIC® $50,290 040 Black 105 Almond Beige MB-Tex P01 Package: $3,920 .....543 Double Sun Visors .....536 SiriusXM Radio w. 6 mos. service .....518 Media Interface .....512 COMAND® w/ Navigation .....500 Power Folding Mirrors .....441 Power Tilt/Telescoping Steering Column .....275 Power Front Seats w/Driver Memory .....249 Auto-dimming Driver and Rearview Mirrors .....049 iPod/MP3 Media Interface Cable .....U80 115V AC Power Outlet .....P49 Mirror Package 993 Lane Tracking Package: $875 .....476 Lane Keeping Assist .....234 Blind Spot Assist .....22P Lane Tracking Package Code H09 Brown Satin Ash Wood Trim $160 R55 19 Twin 5-spoke Wheel 218 Rearview Camera 235 PARKTRONIC with Active Parking Assist $970 267 Illumination Kit for Side Running Boards $650 311 Heated/Cooled Front Cupholders $180 413 Power Tilt/Sliding Panorama Sunroof $1,090 443 Heated Steering Wheel $250 550 Trailer Hitch $575 810 harman/kardon®(R) Logic 7®(R) Surround Sound System $850 846 Brushed Aluminum Running Boards $670 866 Pre-Wiring for Rear Seat Entertainment $170 872 Heated Rear Seats $620 889 KEYLESS GO®(R) $650 SUBTOTAL $61,920 DESTINATION &DELIVERY $925 TOTAL $62,845Visit Us Today Come in for a quick visit at Mercedes-Benz Porsche of Lehigh Valley, 3401 Lehigh St, Allentown, PA 18103 to claim your Mercedes-Benz M-Class! Come in for a quick visit at Mercedes-Benz Porsche of Lehigh Valley, 3401 Lehigh St, Allentown, PA 18103 to claim your Mercedes-Benz M-Class! Only 35,134 Miles!This Mercedes-Benz SLK-Class Features the Following Options 2012 SLK 350 $54,800 040 Black 205 Sahara Beige Leather P01 Premium 1 Package: $2,590 ....880 IR Remote Roof automatic ....873 Heated Front Seats ....810 harman/kardon® Logic 7® Surround-Sound System ....536 SiriusXM Radio w. 6 mos. service ....518 Media Interface ....403 AIRSCARF® - Ventilated Headrest ....049 iPod/MP3 Media Interface Cable 318 Trim Package: $990 ....731 Burl Walnut Wood Trim ....289 Wood / Leather Steering Wheel ....284 Wood/Leather Shift Knob 320 Multimedia Package: $2,150 ....512 COMAND® System with Hard-Drive Navigation R32 18 5-Spoke Wheel (standard) 104 Rear Deck Spoiler $350 283 AIRGUIDE Windstop $350 SUBTOTAL $61,230 DESTINATION &DELIVERY $875 TOTAL $62,105Visit Us Today Stop by Mercedes-Benz Porsche of Lehigh Valley located at 3401 Lehigh St, Allentown, PA 18103 for a quick visit and a great vehicle! Only 26,856 Miles! This Mercedes-Benz GLK-Class Features the Following Options 2014 GLK 350 4MATIC® $39,480 590 Mars Red 121 Black MB Tex Options P01 Premium Package:$3,450 ....890 Power Liftgate ....536 SiriusXM Radio ....518 Media Interface ....413 Panorama Sunroof ....249 Autodimming Mirrors ....245 Compass ....232 Garage Door Opener ....049 iPod/MP3 Media Interface Cable ....U80 115V AC Power Outlet 321 Sport Package: $1,990 ....772 AMG® Styling ....758 20 AMG® Twin 5-Spoke Wheel ....725 Aluminum Roof Rails ....P31 AMG® Exterior Sport Package 2U5 Side Skirts - Painted 443 Heated Steering Wheel $250 550 Trailer Hitch $575 731 Burl Walnut Wood Trim 873 Heated Front Seats $750 917 PZEV-Emission, USA SUBTOTAL $46,495 DESTINATION &DELIVERY $925 TOTAL $47,420Visit Us Today Stop by Mercedes-Benz Porsche of Lehigh Valley located at 3401 Lehigh St, Allentown, PA 18103 for a quick visit and a great vehicle! Only 16,496 Miles! Mercedes-Benz Certified Warranty is good until 6/29/2021 or unlimited miles. Additional years are available. Carfax Guaranteed. This Mercedes-Benz GLA Comes Equipped with These Options 2016 GLA 250 4MATIC® $34,500 696 Night Black 111 Black MB-Tex P01 Premium Package: $2,400 .....889 KEYLESS GO® .....873 Heated Front Seats .....810 Burmester(R) Surround Sound System .....536 SiriusXM Radio with Free Trial Period .....249 Autodimming Mirrors .....232 Garage Door Opener 320 Multimedia Package: $2,480 .....815 Single-DVD Player .....531 COMAND® w/Navigation and Voice Control .....502 Navigation Map Updates included for 3-years .....218 Rearview Camera .....U71 DVD Coding H19 Satin Light Brown Poplar Wood Trim $325 R31 18 5-Spoke Alloy Wheel 00A Illuminated Star $550 068 Wheel Locking Bolts $140 234 Blind Spot Assist $550 51U Black Headliner SUBTOTAL $40,945 DESTINATION &DELIVERY $925 TOTAL $41,870Stop By Today Stop by Mercedes-Benz Porsche of Lehigh Valley located at 3401 Lehigh St, Allentown, PA 18103 for a quick visit and a great vehicle! Only 29,753 Miles! Mercedes-Benz Certified Warranty is good until 3/31/2021 or unlimited miles. Additional years are available. Carfax Guaranteed.This Mercedes-Benz C-Class Comes Equipped with These Options 2016 C 300 4MATIC® $40,950 040 Black 101 Black MB-Tex Options P02 Premium Package: $2,220 ....889 KEYLESS GO®(R) ....810 Burmester Surround Sound System ....611 Entrance Lamps in Doors ....536 SiriusXM Radio with Free Trial Period 320 Multimedia Package: $2,230 ....815 COMAND® DVD CD Single ....531 COMAND® w/Navigation and Voice Control ....502 Navigation Map Updates included for 3-years ....U71 DVD Coding H07 Linden Wood $325 LS1 factory code - tbd R48 17-Inch Split 5-Spoke Alloy Wheel 00A Illuminated Star $550 098 factory code 218 Rearview Camera $460 234 Blind Spot Assist $550 293 Rear Side Airbags 413 Panorama Sunroof $1,480 443 Heated Steering Wheel $250 485 Comfort suspension 5P7 Factory Plant Code 632 LED Headlamps 851 Factory Code 873 Heated Front Seats $580 SUBTOTAL $49,595 DESTINATION &DELIVERY $925 TOTAL $50,520Stop By Today For a must-own Mercedes-Benz C-Class come see us at Mercedes-Benz Porsche of Lehigh Valley, 3401 Lehigh St, Allentown, PA 18103. Just minutes away! Mercedes-Benz Certified Warranty is good until 4/23/2020 or unlimited miles. Additional years are available. Carfax Guaranteed. This Mercedes-Benz E 400 Features the Following Options 2015 E 400 4MATIC® $64,850 799 designo® Diamond White $1,515 215 Silk Beige Leather 389 KEYLESS GO®(R) Package: $750 .....881 Electronic Trunk Closer .....871 Hands-Free Access .....P17 Keyless Go Control Code 993 Lane Tracking Package: .....476 Lane Keeping Assist .....234 Blind Spot Assist .....22P Lane Tracking package code H14 Burl Walnut Wood Trim R02 All-Season Tires (Std.) 070 Chrome Door Handle Inserts $90 104 Rear Deck Spoiler $350 137 Comfort Box $290 218 Rearview Camera 443 Heated Steering Wheel $250 55U Beige Roof Liner 6P5 Factory Code 810 harman/kardon®(R) Logic 7®(R) Surround Sound System SUBTOTAL $68,095 DESTINATION &DELIVERY $925 TOTAL $69,020Stop By Today You've earned this- stop by Mercedes-Benz Porsche of Lehigh Valley located at 3401 Lehigh St, Allentown, PA 18103 to make this car yours today! You've earned this- stop by Mercedes-Benz Porsche of Lehigh Valley located at 3401 Lehigh St, Allentown, PA 18103 to make this car yours today! Only 25,418 Miles! Mercedes-Benz Certified Warranty is good until 7/12/2021 or unlimited miles. Additional years are available. Carfax Guaranteed.This Mercedes-Benz C-Class Features the Following Options 2016 C 300 4MATIC® $40,950 040 Black 141 Sport Black MB-Tex P02 Premium Package: $2,220 .....889 KEYLESS GO®(R) .....810 Burmester Surround Sound System .....611 Entrance Lamps in Doors .....536 SiriusXM Radio with Free Trial Period 320 Multimedia Package: $2,230 .....815 COMAND® DVD CD Single .....531 COMAND® w/Navigation and Voice Control .....502 Navigation Map Updates included for 3-years .....U71 DVD Coding 321 Sport Package: $2,175 .....772 AMG® Sportline .....U26 Floormats .....U09 MB-Tex Upper Dash and Door Trim .....P31 Sport Package Exterior .....P29 Sport Package Interior H07 Linden Wood $325 00A Illuminated Star $550 068 Wheel Locking Bolts $140 104 Rear Deck Spoiler $350 218 Rearview Camera $460 234 Blind Spot Assist $550 293 Rear Side Airbags 413 Panorama Sunroof $1,480 443 Heated Steering Wheel $250 486 Sport Suspension 632 LED Headlamps 782 18-Inch AMG® 5-Spoke Alloy Wheel 851 Factory Code 873 Heated Front Seats $580 SUBTOTAL $52,260 DESTINATION &DELIVERY $925 TOTAL $53,185Stop By Today Live a little- stop by Mercedes-Benz Porsche of Lehigh Valley located at 3401 Lehigh St, Allentown, PA 18103 to make this car yours today! Boasts 22 Highway MPG and 17 City MPG! Carfax One-Owner Vehicle. This Mercedes-Benz M-Class delivers a Premium Unleaded V-6 3.5 L/213 engine powering this Automatic transmission. Window Grid Diversity Antenna, Wheels: 19 Twin-5-Spoke Alloy, Valet Function. This Mercedes-Benz M-Class Comes Equipped with These Options Urethane Gear Shift Knob, Trunk/Hatch Auto-Latch, Trip Computer, Transmission: 7-Speed Automatic -inc: steering wheel shift paddles, Transmission w/Sequential Shift Control w/Steering Wheel Controls, Tracker System, Towing Equipment -inc: Trailer Sway Control, Tires: 255/50R19 AS, Tire Specific Low Tire Pressure Warning, Tailgate/Rear Door Lock Included w/Power Door Locks. Stop By Today You've earned this- stop by Mercedes-Benz Porsche of Lehigh Valley located at 3401 Lehigh St, Allentown, PA 18103 to make this car yours today! Boasts 22 Highway MPG and 17 City MPG! Carfax One-Owner Vehicle. This Mercedes-Benz M-Class delivers a Premium Unleaded V-6 3.5 L/213 engine powering this Automatic transmission. Window Grid Diversity Antenna, Wheels: 19 Twin-5-Spoke Alloy, Valet Function. Urethane Gear Shift Knob, Trunk/Hatch Auto-Latch, Trip Computer, Transmission: 7-Speed Automatic -inc: steering wheel shift paddles, Transmission w/Sequential Shift Control w/Steering Wheel Controls, Tracker System, Towing Equipment -inc: Trailer Sway Control, Tires: 255/50R19 AS, Tire Specific Low Tire Pressure Warning, Tailgate/Rear Door Lock Included w/Power Door Locks. Only 13,274 Miles! Mercedes-Benz Certified Warranty is good until 5/9/2020 or unlimited miles. Additional years are available. Carfax Guaranteed.This Mercedes-Benz E 350 Features the Following Options 2016 E 350 4matic $55,600 890 Lunar Blue $720 115 Silk Beige MB-Tex P01 Premium 1 Package: $4,180 ....540 Power Rear-Window Sunshade ....536 SiriusXM Radio w. 6 mos. service ....531 COMAND® Navigation ....502 Multi-Year Update ....500 Power Folding Mirrors ....287 Split-Folding Rear Seats ....P49 Mirror Package 319 Lighting Package: $1,500 ....640 Full-LED Headlamps ....608 Adaptive Highbeam Assist 321 Sport Package: ....954 Sport Package ....951 Appearance Code ....772 Sport Bodystyling ....677 Suspension for Sport ....4U4 Radiator grill with central star 389 KEYLESS GO® Package: $900 ....889 KEYLESS GO® ....881 Electronic Trunk Closer ....871 Hands-Free Access ....P17 Keyless Go Control Code 993 Lane Tracking Package: $875 ....476 Lane Keeping Assist ....234 Blind Spot Assist ....22P Lane Tracking package code H14 Burl Walnut Wood Trim R02 All-Season Tires (Std.) R38 18-Inch 5-Double Spoke Wheels U80 115V AC Power Outlet $115 104 Rear Deck Spoiler $350 137 Comfort Box $290 218 Rearview Camera 413 Power Tilt / Sliding Panorama Sunroof $1,090 443 Heated Steering Wheel $250 55U Beige Roof Liner 810 harman/kardon® Logic 7® Surround Sound System 873 Heated Front Seats SUBTOTAL $65,870 DESTINATION &DELIVERY $925 TOTAL $66,795Visit Us Today Come in for a quick visit at Mercedes-Benz Porsche of Lehigh Valley, 3401 Lehigh St, Allentown, PA 18103 to claim your Mercedes-Benz E-Class! Only 34,310 Miles! Mercedes-Benz Certified Warranty is good until 3/7/2021 or unlimited miles. Additional years are available. Carfax Guaranteed.This Mercedes-Benz E-Class Comes Equipped with These Options 2016 E 350 4MATIC® $55,600 775 Iridium Silver Metallic $720 111 Black MB-Tex P01 Premium 1 Package: $4,180 .....540 Power Rear-Window Sunshade .....536 SiriusXM Radio w. 6 mos. service .....531 COMAND® Navigation .....502 Multi-Year Update .....500 Power Folding Mirrors .....287 Split-Folding Rear Seats .....P49 Mirror Package 321 Sport Package: .....954 Sport Package .....951 Appearance Code .....772 Sport Bodystyling .....677 Suspension for Sport .....4U4 Radiator grill with central star 993 Lane Tracking Package: $875 .....476 Lane Keeping Assist .....234 Blind Spot Assist .....22P Lane Tracking package code R02 All-Season Tires (Std.) 104 Rear Deck Spoiler $350 218 Rearview Camera 277 3-Spoke Sport Steering Wheel $260 413 Power Tilt / Sliding Panorama Sunroof $1,090 51U Black Headliner 736 Black Ash Wood 794 18-Inch AMG® Wheels $500 810 harman/kardon® Logic 7® Surround Sound System 873 Heated Front Seats SUBTOTAL $63,575 DESTINATION &DELIVERY $925 TOTAL $64,500Visit Us Today For a must-own Mercedes-Benz E-Class come see us at Mercedes-Benz Porsche of Lehigh Valley, 3401 Lehigh St, Allentown, PA 18103. Just minutes away! For a must-own Mercedes-Benz E-Class come see us at Mercedes-Benz Porsche of Lehigh Valley, 3401 Lehigh St, Allentown, PA 18103. Just minutes away! Mercedes-Benz Factory Warranty is good until 10/29/2022 or 50,000 miles on the odometer. Additional years of coverage are available. Carfax Guaranteed. This Mercedes-Benz GLA Comes Equipped with These Options 2019 GLA 250 4MATIC® $35,950 890 Lunar Blue Metallic $720 105 Sahara Beige MB-Tex P01 Premium Package: $1,800 .....889 KEYLESS GO® .....873 Heated Front Seats .....871 HANDS-FREE ACCESS .....536 SIRIUS Satellite Radio .....234 Blind Spot Assist .....P17 Control Code 317 Convenience Package: $400 .....249 Autodimming Mirrors .....232 Garage Door Opener 868 Smartphone Integration Package: $350 .....17U Android Auto .....16U Apple CarPlay .....14U Smartphone Integration H79 Aluminum Trim $150 R31 18 5-Twin-Spoke Wheels 245 Compass 413 Panorama Roof $1,500 522 Radio-ICU Hi-Line 55U Beige Roof Liner SUBTOTAL $40,870 DESTINATION &DELIVERY $995 TOTAL $41,865Stop By Today A short visit to Mercedes-Benz Porsche of Lehigh Valley located at 3401 Lehigh St, Allentown, PA 18103 can get you a dependable GLA today! Mercedes-Benz Factory Warranty is good until 11/29/2022 or 50,000 miles on the odometer. Additional years of coverage are available. Carfax Guaranteed. This Mercedes-Benz GLA Features the Following Options 2019 GLA 250 4MATIC® $35,950 696 Night Black 111 Black MB-Tex P01 Premium Package: $1,800 .....889 KEYLESS GO® .....873 Heated Front Seats .....871 HANDS-FREE ACCESS .....536 SIRIUS Satellite Radio .....234 Blind Spot Assist .....P17 Control Code 317 Convenience Package:$400 .....249 Autodimming Mirrors .....232 Garage Door Opener 868 Smartphone Integration Package: $350 .....17U Android Auto .....16U Apple CarPlay .....14U Smartphone Integration H81 Sail-Pattern Trim R31 18 5-Twin-Spoke Wheels 245 Compass 413 Panorama Roof $1,500 51U Black Roof Liner 522 Radio-ICU Hi-Line SUBTOTAL $40,000 DESTINATION &DELIVERY $995 TOTAL $40,995Visit Us Today Come in for a quick visit at Mercedes-Benz Porsche of Lehigh Valley, 3401 Lehigh St, Allentown, PA 18103 to claim your Mercedes-Benz GLA! Mercedes-Benz Factory Warranty is good until 9/26/2022 or 50,000 miles on the odometer. Additional years of coverage are available. Carfax Guaranteed. Mercedes-Benz Factory Warranty is good until 12/31/2022 or 50,000 miles on the odometer. Additional years of coverage are available. Carfax Guaranteed. This Mercedes-Benz CLA Features the Following Options 2019 CLA 250 Coupe 4MATIC® $35,100 589 Jupiter Red 151 Black MB-Tex P01 Premium Package: $1,800 .....889 KEYLESS GO® .....873 Heated Front Seats .....871 HANDS-FREE ACCESS .....536 SIRIUS Satellite Radio .....234 Blind Spot Assist .....P17 Hands-Free Access control code 317 Convenience Package: $400 .....249 Driver's Side &Interior Auto-Dimming Mirrors .....232 Garage Door Opener 868 Smartphone Integration Package: $350 .....17U Android Auto .....16U Apple CarPlay .....14U Smartphone Integration H81 Sail-Pattern Trim PZZ Steering Code R31 18 5-Spoke Wheels $500 104 Rear Deck Spoiler $300 413 Panorama Roof $1,500 51U Black Headliner 522 Audio 20 CD w/ Garmin Navigation Pre-Wiring 677 Comfort Suspension SUBTOTAL $39,950 DESTINATION &DELIVERY $995 TOTAL $40,945Visit Us Today You've earned this- stop by Mercedes-Benz Porsche of Lehigh Valley located at 3401 Lehigh St, Allentown, PA 18103 to make this car yours today! Mercedes-Benz Factory Warranty is good until 10/29/2022 or 50,000 miles on the odometer. Additional years of coverage are available. Carfax Guaranteed.This Mercedes-Benz CLA Comes Equipped with These Options 2019 CLA 250 Coupe 4MATIC® $35,100 589 Jupiter Red 151 Black MB-Tex P01 Premium Package: $1,800 .....889 KEYLESS GO® .....873 Heated Front Seats .....871 HANDS-FREE ACCESS .....536 SIRIUS Satellite Radio .....234 Blind Spot Assist .....P17 Hands-Free Access control code 317 Convenience Package: $400 .....249 Driver's Side &Interior Auto-Dimming Mirrors .....232 Garage Door Opener 868 Smartphone Integration Package: $350 .....17U Android Auto .....16U Apple CarPlay .....14U Smartphone Integration H81 Sail-Pattern Trim PZZ Steering Code 104 Rear Deck Spoiler $300 413 Panorama Roof $1,500 51R 18 Multi-Spoke Wheels $500 51U Black Headliner 522 Audio 20 CD w/ Garmin Navigation Pre-Wiring 632 Static LED Headlamps $850 677 Comfort Suspension 810 harman/kardon® Logic 7®(R) Sound System $850 SUBTOTAL $41,650 DESTINATION &DELIVERY $995 TOTAL $42,645 Stop By Today A short visit to Mercedes-Benz Porsche of Lehigh Valley located at 3401 Lehigh St, Allentown, PA 18103 can get you a dependable CLA today! A short visit to Mercedes-Benz Porsche of Lehigh Valley located at 3401 Lehigh St, Allentown, PA 18103 can get you a dependable CLA today! Mercedes-Benz Factory Warranty is good until 9/26/2022 or 50,000 miles on the odometer. Additional years of coverage are available. Carfax Guaranteed.This Mercedes-Benz CLA Features the Following Options 2019 CLA 250 Coupe 4MATIC® $35,100 149 Polar White 155 Sahara Beige MB-Tex P01 Premium Package: $1,800 .....P17 Hands-Free Access control code ..... 234 Blind Spot Assist .....536 SIRIUS Satellite Radio .....871 HANDS-FREE ACCESS .....873 Heated Front Seats .....889 KEYLESS GO® 317 Convenience Package: $400 .....232 Garage Door Opener .....249 Driver's Side &Interior Auto-Dimming Mirrors 868 Smartphone Integration Package: $350 .....14U Smartphone Integration .....16U Apple CarPlay .....17U Android Auto H06 Black Ash Matte Wood Trim $325 104 Rear Deck Spoiler $300 413 Panorama Roof $1,500 51R 18 Multi-Spoke Wheels $500 51U Black Headliner 522 Audio 20 CD w/ Garmin Navigation Pre-Wiring 632 Static LED Headlamps $850 677 Comfort Suspension 810 harman/kardon® Logic 7®(R) Sound System $850 SUBTOTAL $41,975 DESTINATION &DELIVERY $995 TOTAL $42,970 Visit Us Today A short visit to Mercedes-Benz Porsche of Lehigh Valley located at 3401 Lehigh St, Allentown, PA 18103 can get you a trustworthy CLA today! A short visit to Mercedes-Benz Porsche of Lehigh Valley located at 3401 Lehigh St, Allentown, PA 18103 can get you a trustworthy CLA today! Mercedes-Benz Factory Warranty is good until 11/28/2022 or 50,000 miles on the odometer. Additional years of coverage are available. Carfax Guaranteed. This Mercedes-Benz GLA Features the Following Options 2019 GLA 250 4MATIC® $35,950 787 Mountain Grey Metallic $720 105 Sahara Beige MB-Tex P01 Premium Package:$1,800 .....889 KEYLESS GO® .....873 Heated Front Seats .....871 HANDS-FREE ACCESS .....536 SIRIUS Satellite Radio .....234 Blind Spot Assist .....P17 Control Code 317 Convenience Package: $400 .....249 Autodimming Mirrors .....232 Garage Door Opener 868 Smartphone Integration Package: $350 .....17U Android Auto .....16U Apple CarPlay .....14U Smartphone Integration H19 Satin Brown Poplar Wood Trim $325 R31 18 5-Twin-Spoke Wheels 245 Compass 413 Panorama Roof $1,500 522 Radio-ICU Hi-Line 55U Beige Roof Liner SUBTOTAL $41,045 DESTINATION &DELIVERY $995 TOTAL $42,040Visit Us Today Live a little- stop by Mercedes-Benz Porsche of Lehigh Valley located at 3401 Lehigh St, Allentown, PA 18103 to make this car yours today! Mercedes-Benz Factory Warranty is good until 12/31/2022 or 50,000 miles on the odometer. Additional years of coverage are available. Carfax Guaranteed. This Mercedes-Benz GLA Comes Equipped with These Options 2019 GLA 250 4MATIC® $35,950 890 Lunar Blue Metallic $720 105 Sahara Beige MB-Tex P01 Premium Package: $1,800 .....889 KEYLESS GO® .....873 Heated Front Seats .....871 HANDS-FREE ACCESS .....536 SIRIUS Satellite Radio .....234 Blind Spot Assist .....P17 Control Code 317 Convenience Package: $400 .....249 Autodimming Mirrors .....232 Garage Door Opener 868 Smartphone Integration Package: $350 .....17U Android Auto .....16U Apple CarPlay .....14U Smartphone Integration H79 Aluminum Trim $150 R31 18 5-Twin-Spoke Wheels 245 Compass 413 Panorama Roof $1,500 522 Radio-ICU Hi-Line 55U Beige Roof Liner SUBTOTAL $40,870 DESTINATION &DELIVERY $995 TOTAL $41,865Stop By Today A short visit to Mercedes-Benz Porsche of Lehigh Valley located at 3401 Lehigh St, Allentown, PA 18103 can get you a tried-and-true GLA today! A short visit to Mercedes-Benz Porsche of Lehigh Valley located at 3401 Lehigh St, Allentown, PA 18103 can get you a tried-and-true GLA today! Mercedes-Benz Factory Warranty is good until 12/31/2022 or 50,000 miles on the odometer. Additional years of coverage are available. Carfax Guaranteed. This Mercedes-Benz GLA Comes Equipped with These Options 2019 GLA 250 4MATIC® $35,950 696 Night Black 111 Black MB-Tex P01 Premium Package: $1,800 .....889 KEYLESS GO® .....873 Heated Front Seats .....871 HANDS-FREE ACCESS .....536 SIRIUS Satellite Radio .....234 Blind Spot Assist .....P17 Control Code 317 Convenience Package: $400 .....249 Autodimming Mirrors .....232 Garage Door Opener 868 Smartphone Integration Package: $350 .....17U Android Auto .....16U Apple CarPlay .....14U Smartphone Integration H81 Sail-Pattern Trim R31 18 5-Twin-Spoke Wheels 00A Illuminated Star $450 067 Illuminated Door Sills $500 245 Compass 413 Panorama Roof $1,500 51U Black Roof Liner 522 Radio-ICU Hi-Line SUBTOTAL $40,950 DESTINATION &DELIVERY $995 TOTAL $41,945Visit Us Today Stop by Mercedes-Benz Porsche of Lehigh Valley located at 3401 Lehigh St, Allentown, PA 18103 for a quick visit and a great vehicle!